Black lab puppies and adults are the most popular Labradors in the AKC show ring. Judges love the black Labradors and almost always put one up to win the show. 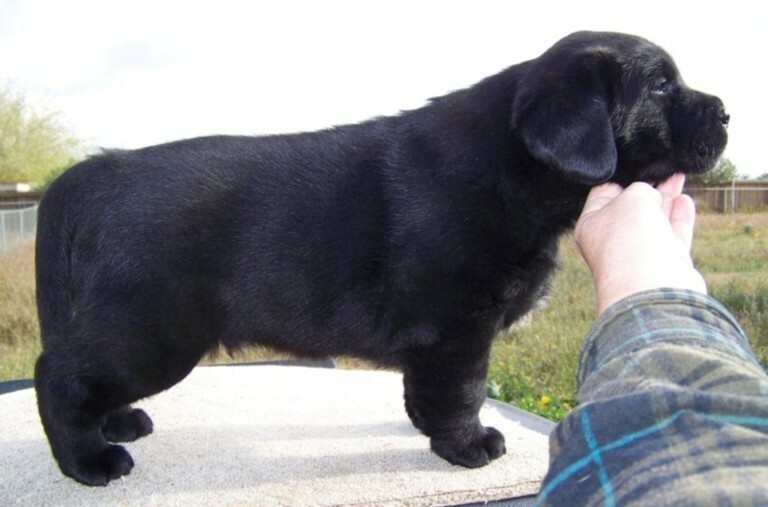 Black Labs were the first Labrador Retrievers and known as "the little black dog" and as odd as it sounds the other colors came from these black beauty, they are still highly desired for family pets, service dogs, the show ring, and for hunting. The make excellent companion dogs. There are only three recognized colors of Labrador Retrievers, black, yellow, and chocolate Labs.